Why: This one still stings, y'all. Listening to this beautiful woman's beautiful voice and knowing she's no longer with us is a truly bittersweet experience. Combined with the instrumental gusto of The Dap-Kings and the sheer force of Jones's voice, this record packs punch after punch. 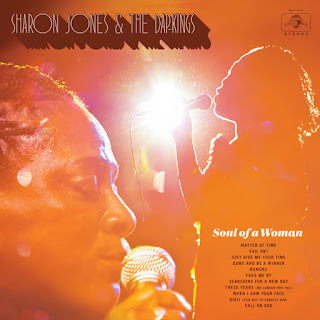 Posthumous though it may be, Soul of A Woman is a fittingly triumphant legacy to the memory of the one and only Miss Sharon Jones, force of nature and soul singer extraordinaire.